Apple received more than two million orders for its new iPhone 5 in the first 24 hours, the company said Monday, pushing back many deliveries into October because of strong demand. Apple unveiled the new version of its iconic smartphone last Wednesday and opened up pre-orders on Friday. The first customers in the United States and several other countries are expected to get the device September 21, but Apple said some would have to wait. "Demand for iPhone 5 exceeds the initial supply and while the majority of pre-orders will be delivered to customers on September 21, many are scheduled to be delivered in October," an Apple statement said. 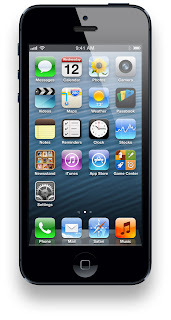 The iPhone 5 will be available from the Apple Online Store and its retail stores, and for US customers through AT&T, Sprint, Verizon Wireless, Best Buy, RadioShack, Target and Walmart stores and other resellers. Some analysts say Apple could sell 10 million in the opening days and 50 million before the end of 2012. Apple shares rose 1.2 percent to a new all-time closing high Friday of $691.28, giving the tech firm a market value of $648 billion. Many analysts remained bullish on Apple because of the iPhone and other products, including a rumored new mini-Ipad expected to be launched later this year. "Bolstered by the iPhone 5, we believe Apple's industry-leading software ecosystem and integrated hardware expertise will lead to a strong multi-year product cycle," said Michael Walkley at Canaccord Genuity. "We reiterate our buy rating and $797 price target." The thinner, lighter, more powerful iPhone has been among the most keenly anticipated products in the tech world. Made of glass and aluminum, it features a new design to nestle in one's palm to naturally align with thumbs and works on the faster mobile Internet networks known as LTE. The new device features Apple's own new A6 processor, which according to Apple doubles the speed for loading Web graphics.